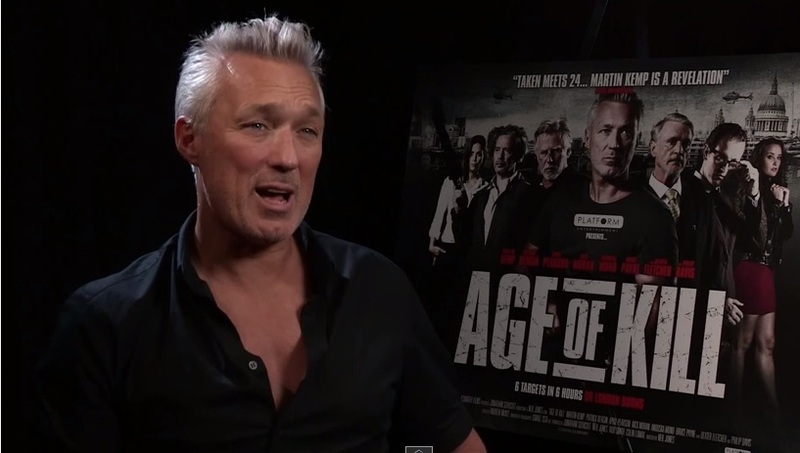 Recently I had the opportunity to talk to Martin Kemp about his latest project Age of Kill. In theatres from Friday, the action-packed film sees Martin Kemp play disgraced special ops sniper Sam Blake who is plunged into a world of darkness when his daughter (Dani Dyer) is taken hostage by a mysterious terrorist. Out of options and with no one to turn to, Blake is forced to carry out their evil bidding and must assassinate six seemingly random targets within six hours on the streets of London. Speaking to Martin, it was clear that he’s passionate about the role, and we also had the chance to touch on his musical career and what it’s like being back on stage with Spandau Ballet. Here are some snippets I enjoyed. and on DVD/Blu-ray on 15th June 2015.